Rapid technological progress of the last century gave rise to the newest trends in art and, as a consequence, the tendency to the destruction of traditional canons, the search for other forms and aesthetic principles. This is most clearly expressed in the avant-garde — the complex artistic phenomena of the first third of the 20th century. One of the many avant-garde movements was the style of constructivism, which arose in the young Soviet power in the 1920s – 1930s. It is also called “industrial” or “construction” art. the accident pronounced too weak, the direction is mostly associated with architecture, in which simple geometric shapes and maximum functionality applied is the most typical. 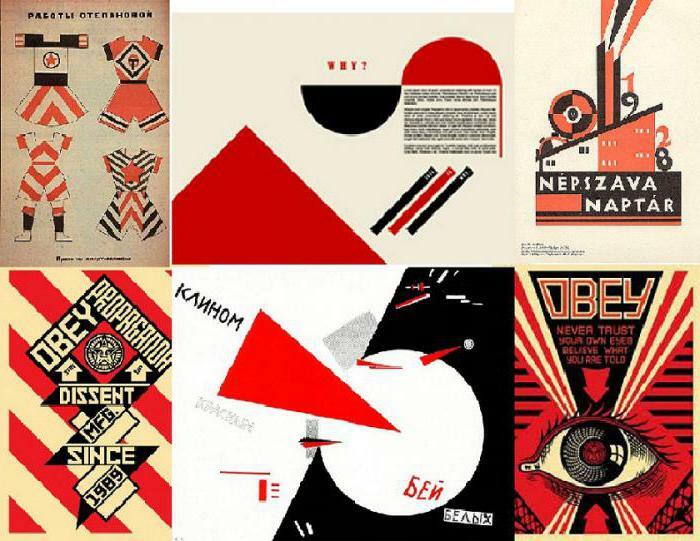 But the principles of constructivism, comprehensive and quickly spread, also had a significant impact on the graphic design, industrial design, photography, theatre, cinema, dance, fashion, literature and music of the period. Soviet constructivism has had a significant impact on contemporary creative movements of the 20th century and not only in the Bolshevik country. The consequences of his influence can be traced in the main trends of German design school Bauhaus, and the Dutch artistic movement of De Steyl, in the works of artists of Europe and Latin America. Defining “the art of building" was first used as a sarcastic expression by Kazimir Malevich in 1917 to describe the work of Alexander Rodchenko. The term "constructivism" invented by the sculptors Antoine Pevsner and Naum Gabo. The latter has developed an industrial, angular style of work, while its geometric abstraction, it was something to the Suprematism of Malevich. For the first time the term appears in “Realistic Manifesto” N. Gabo (1920), later as the title of the book Alexei Ghana (1922). 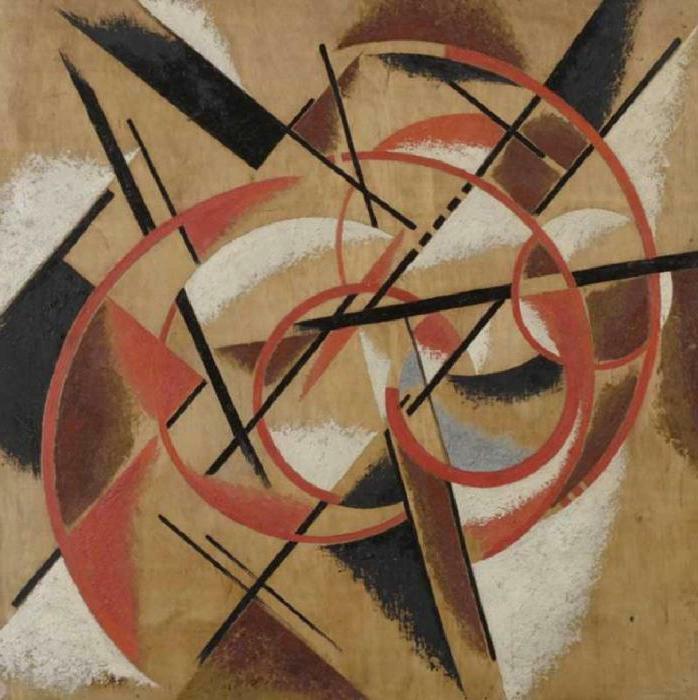 Constructivism among the many styles and trends in the visual arts was formed on the basis of Russian futurism, in particular, under the influence of the so-called “Counter-reliefs" (diversified one collages of different materials) Vladimir Tatlin exhibited in 1915. He was (like Kazimir Malevich) one of the pioneers of geometric abstract art, the founder of the avant-garde Suprematist movement. Concept of a new direction has developed in the Moscow Institute of artistic culture (INKHUK) in the period 1920-1922 years of the first working group of constructivists. Liubov Popova, Alexander Vesnin, Rodchenko, Varvara Stepanova, Aleksei Gan, Boris Arvatov and Osip Brik, headed by the first Chairman of the group, Vasily Kandinsky has been the theoretical definition of constructivism as an inseparable combination of the basic elements of industrial culture (structure, texture, and specific material properties of an object with its spatial position). According to constructivism, art — a tool exclusively designed for artistic design of everyday utilitarian, practical objects. Concise expressive form of works, devoid of any “beautiful” and “frills”, should be as functional and designed for easy application in mass production (hence the term "industrial arts"). Pointlessness sensual-emotional forms of Kandinsky or the rational-abstract geometry of Malevich, the constructivists were reinterpreted and transformed to the actual spatial objects. So a new design of garments, fabric drawings, furniture, utensils and other necessities, was born the characteristic view poster the Soviet era. Small tonal range in the range of blue, red, yellow, green, black, grey and white. The colors were not necessarily locally-clean, often used their muted coloring options, but no more than 3-4 at a time. Shapes and lines are expressive, simple, few in number, limited to vertical, horizontal, diagonal direction, or a shape of a regular circle. the object's Contours create the impression of a monolithic structure. Present so-called “native” aesthetics, which displays a graphical or spatial engineering ideas, mechanisms, parts, tools. Key point of this direction was the model of Vladimir Tatlin proposed for the construction of the monument to the Third international (1919 – 1920). The design was to combine the aesthetics of the machine with dynamic components celebrating technology such as searchlights and projection screens. At this time, the work of Gabo and Pevsner over “Realistic Manifesto”, claiming spiritual core of the movement, came to an end. 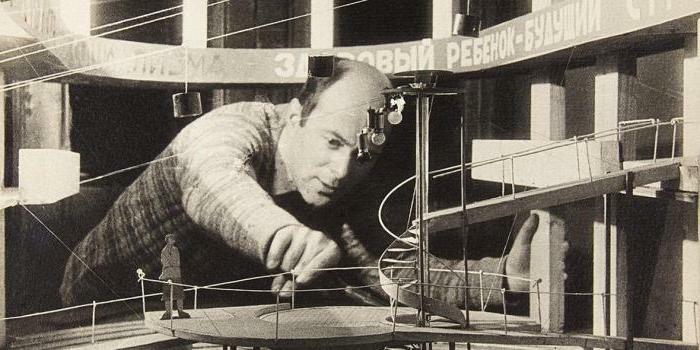 Gabo publicly criticized Tatlin's project, saying, “Either create functional houses and bridges or create pure art, and not both at the same time”. The idea of erecting monuments that have no practical use, at variance with the utilitarian and adaptable version of constructivism. 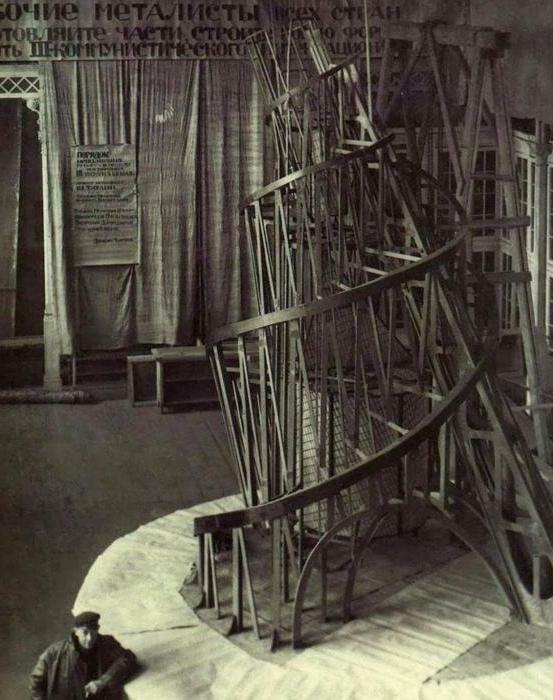 But the design of Tatlin fully describe a new progressive understanding of the shape, materials used and technological creations. This has caused serious disputes and controversies among members of the Moscow group in 1920. Artists of Germany declared the work of Tatlin's revolutionary international and not only Soviet art. Drawings and photographs of models were published in the journal of Taut Fruhlicht. Tatlin's tower was the beginning of the exchange of creative ideas «construction of the art” between Moscow and Berlin. 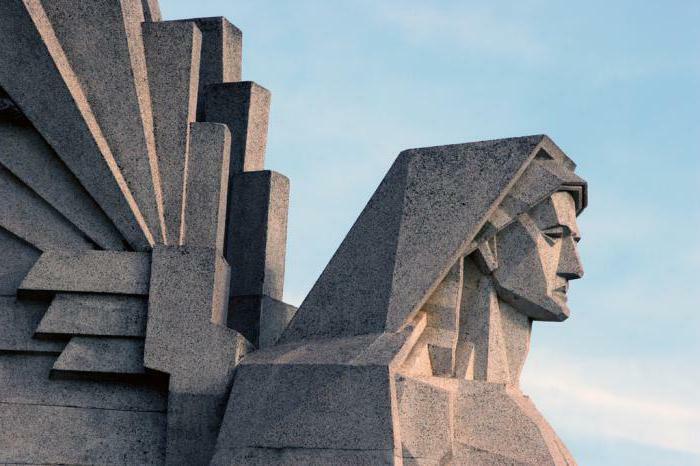 The monument is planned to construct in Leningrad, but the plan was never implemented due to the lack of money in the post-revolutionary period. Still, the image Tatsinskoy the tower remains a symbol of constructivism and the international avant-garde. a Talented self-taught artist, the founder of the movement, Tatlin was the first constructivist who tried to offer their design skills industrial production: projects efficient furnace, workwear, furniture. It should be noted that it was a very utopian idea, as it tower and flying machine "letatlin”, on which he worked until 1930.
the idea of movement, which excludes the pure art and any “beautiful” denied the painting as a form of creativity, not able to serve the utilitarian needs of the people. A new artist was proclaimed as an engineer, creating things, obliged to influence the consciousness and lifestyle of a person. The tenet of “…not to decorate with wall paintings, and to paint them…” meant a standstill of easel painting — the element of bourgeois aesthetics. Artists-constructivists fulfil their potential in posters, design projects of industrial products, the design of public spaces, sketches, fabrics, costumes and scenery for theatre and cinema. Some, like Rodchenko found himself in the art of photography. Others, like Popov in his series “the Dimensional force builds», claimed that their paintings — an intermediate stage on the way to the engineering design. Not fully embodied in painting, constructivism has contributed to the development of collage and three-dimensional installations. 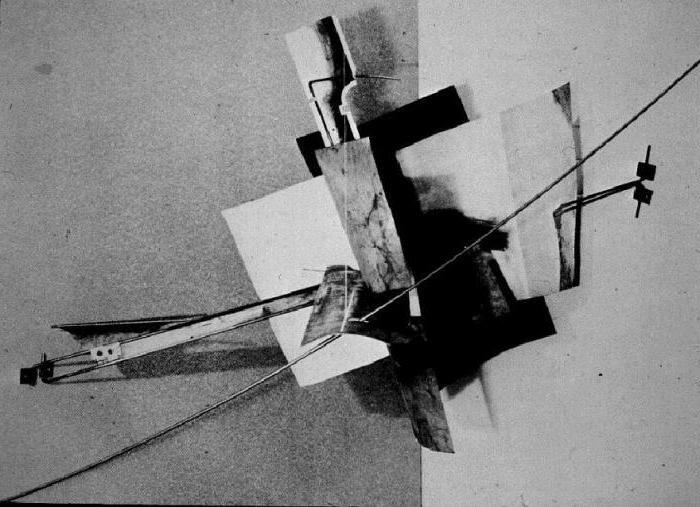 The ideological source was “counter-reliefs" Tatlin and “fundamental” El Lissitzky. 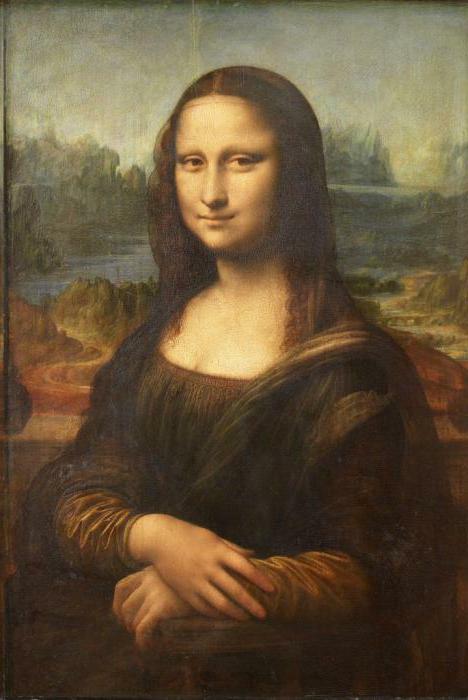 Work, essentially, like easel painting, had no practical application, but like the fantastic engineering and looked in the man-made spirit of the time. Designed for the early twenties by the artist and architect El Lissitsky, the so-called projects of new art (“fundamental”) is an abstract geometric composition made in a beautiful, graphic form, in the form of applications and three-dimensional architectonics. Many artists (not only constructivists) in his paintings 20 years portrayed similar “fundamental” who remained abstract images. But many of the works of Lissitzky was later implemented in the projects of furniture, interior design, theatre design or embodied as a decorative and spatial installations. In the middle of the 1920s – 1930s established the particular style of posters of the Soviet era, which later became a separate section of the design. He covered theatre and movie posters, business ads. The followers of the movement, picked up the saying, Mayakovsky called himself “advertising designers”. During the same period formed the character of the propaganda poster as one of the mechanisms of influence on the consciousness of the masses. Constructivists first used in Russia techniques of collage for the poster, combining drawing, photography and elements of printing products. Font and careful placement of text art played a special role and often resembled a neat graphic designs. Developed in those years of artistic methods poster design remained basic throughout the Soviet period. the Discrepancy between the utilitarian ideas of constructivism in the painting contrasted with the embodiment of them in pictures — a real reflection of life itself. 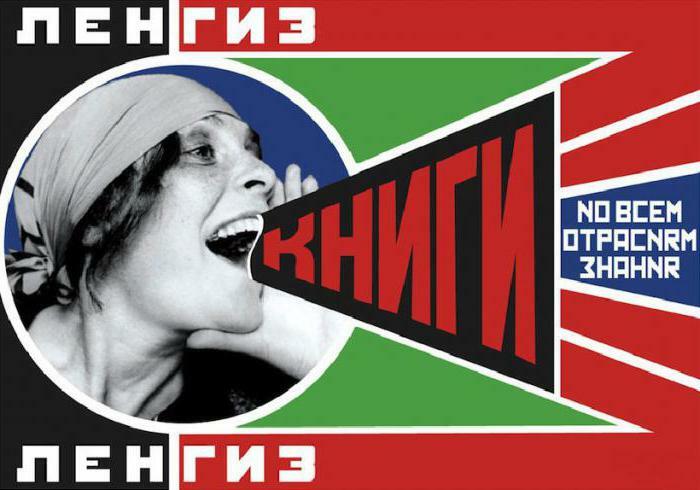 Masterpieces of this art form is recognized as a unique work of multifaceted artist Alexander Rodchenko. sparing No consumables, every object or action sought to capture in different conditions and from several angles. Impressed by the photomontage of the German Dadaists, he was the first who applied a similar technique in Russia. 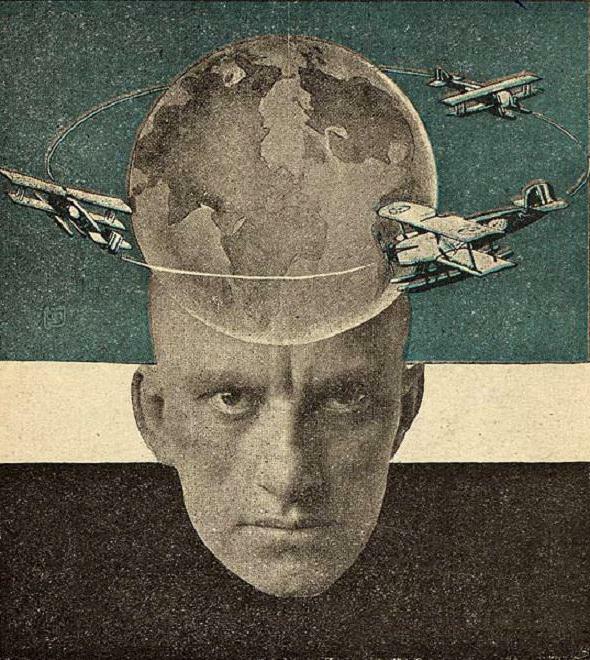 His debut, published in 1923, photomontage illustrated Mayakovsky's poem “About”. In 1924, Rodchenko created what is probably his most famous poster photomontage, — is the publishing house «Langis”, sometimes called “Books”. He made a revolution in composition: the nature lifted him stunningly picturesque and often recalls the rhythmic graphic pattern or abstraction. However, his image is incredibly dynamic, generally they can be characterized by the slogan: “Time, forward!”. Work Rodchenko was struck by the fact that often nature has starred in quite unusual angles, for which the photographer sometimes had to take a dizzying position. Innovative pictures Rodchenko remained a classic example for the next generation of photographers and inspired many of the creators design. For example, the American conceptual artist Barbara Kruger by the success of his many works is obliged Rodchenko. A variation of his photograph of Lily Brik and posters “the Sixth part of the world” became the basis for the music album of foreign punk and rock bands. Some constructivists taught or lectured in the school of Bauhaus, which were adopted and developed some of the methods of teaching the VKhUTEMAS. 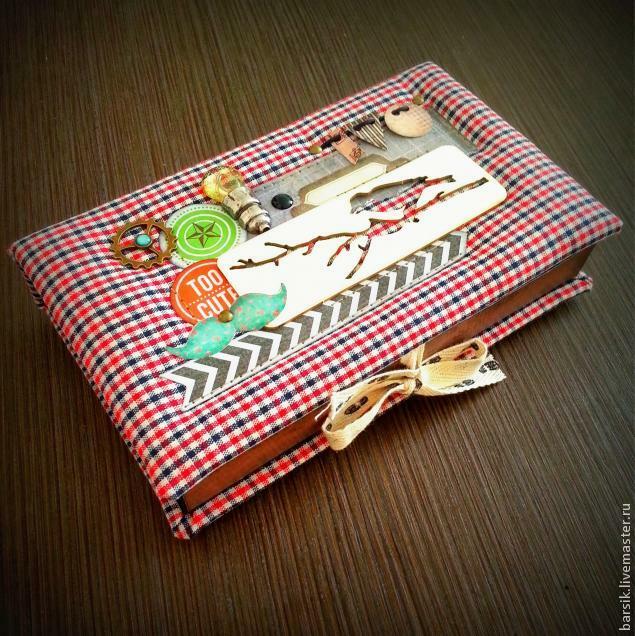 Through Germany style principles "emigrated" to Austria, Holland, Hungary and other European countries. In the 1930-1940 one of the leaders of the international avant-garde, Naum Gabo established in England a variant of constructivism, which is established after the First world war in British architecture, design and various fields of artistic creation. Creator of the constructivist movement in Ecuador Manuel Rendon Seminary and artist from Uruguay joaquín Torres garcía has played an important role for the dissemination of the style in European, African, and Latin American countries. 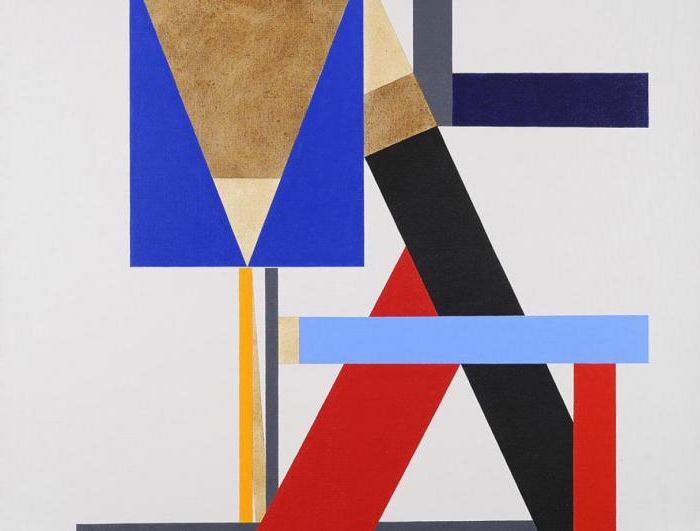 Constructivism in painting expressed in works of contemporary Latin American artists: Oswaldo Viteri, Carlos Merida, Theo Constant, Enrique Tabara, Anibal of Villak and other well-known artists. Australia also did the followers of constructivism, the most famous of which was the artist George Johnson. Master of graphic design Neville Brody reproduced in the 1980-ies style based on the constructivist Soviet posters, it aroused a keen interest among connoisseurs of modern art. Nick Phillips and Ryan Anderson in 1986 she created in the English Sheffield famous graphic design Studio The Designers Republic, based on constructivist ideas. This strong company and today remains a thriving, particularly in the direction of musical logos and album covers. Since the beginning of the thirties, when any progressive and avant-garde was banned in the Soviet Union, constructivism has continued to evolve and influence on the art world abroad. Having lost its ideological basis, the style became the Foundation for the other areas, and its elements are to this day evident in contemporary art, design and architecture.